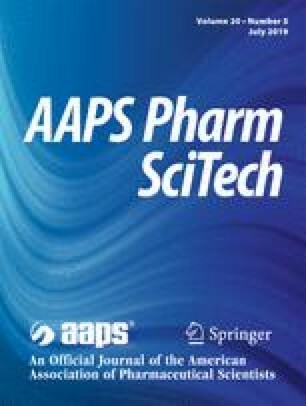 Preformulation studies on tofacitinib citrate, a small molecule JAK3 specific inhibitor, have not been previously reported in literature. We therefore conducted several preformulation studies on tofacitinib citrate, and its free base, to better understand factors that affect its solubility, stability, and solid-state characteristics. Further, the results of the preformulation studies helped facilitate the development of a nebulized formulation of tofacitinib citrate for inhalational delivery to house dust mite allergen-challenged, BALB/c mice as a potential treatment for eosinophilic asthma. The preformulation results indicated tofacitinib having a basic pKa of 5.2, with its stability dependent on pH, ionic strength, and temperature. Degradation of tofacitinib follows apparent first-order kinetics. In order to maximize stability of the drug, ionic strength and temperature should be minimized, with an optimal range pH between 2.0 and 5.0. Additionally, our findings demonstrate that tofacitinib citrate can successfully be nebulized at a suitable droplet size for inhalation (1.2 ± 0.2 μm MMAD) through a nose-only chamber. Animals dosed with tofacitinib citrate demonstrated marked reductions in BAL eosinophils and total protein concentrations following HDM challenge. These data suggest that tofacitinib citrate represents the potential to be an effective therapy for eosinophilic asthma. Paul B. Myrdal is deceased. This paper is dedicated to his memory. We would like to thank the American Foundation of Pharmaceutical Education (AFPE) for providing Usir Younis with the Lynn Van Campen Award in Formulation Design, Pre-Doctoral Fellowship for 2 years to help fund this research. Asthma’s impact on the nation: data from the CDC National Asthma Control Program. Center for Disease Control (CDC) and Prevention, Atlanta. 2012. http://www.cdc.gov/asthma/impacts_nation/asthmafactsheet.pdf. Accessed 13 Feb 2015. Bethesda (MD): U.S. National Library of Medicine; 2018- Study of tofacitinib in refractory dermatomyositis; [about 1p.]. Available from: http://clinicaltrials.gov/. ClinicalTrials.gov Identifier: NCT03002649. Accessed 22 Aug 2018. Bethesda (MD): U.S. National Library of Medicine; 2017- Tofacitinib for the treatment of alopecia areata and its variants; [about 1p.]. Available from: http://clinicaltrials.gov/. ClinicalTrials.gov Identifier: NCT02312882. Accessed 22 Aug 2018. Bethesda (MD): U.S. National Library of Medicine; Evaluation of tofacitinib in early diffuse cutaneous system sclerosis (dcSSc) (TOFA-SSc); [about 1p.]. Available from: http://clinicaltrials.gov/. ClinicalTrials.gov Identifier: NCT03274076. Accessed 22 Aug 2018.